PLATFORM VISIT Under the direction of DOE Sec. Al Cusi, DOE ASec. 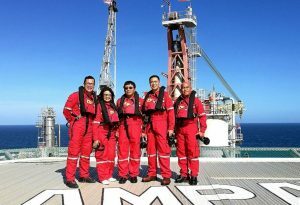 Gerpy Erguiza visited the Malampaya platform to conduct due diligence regarding the Malampaya scheduled maintenance shutdown from 28 January to 16 February 2017. Taguig City — In light of the Malampaya maintenance activities next year, the Department of Energy (DOE) through the strong directive of Secretary Alfonso G. Cusi has started preparatory activities jointly with industry stakeholders to safeguard energy consumers from possible impact on supply and prices of electricity during the scheduled maintenance activities from 28 January 2017 to 16 February 2017. “My directive was clear – the Malampaya maintenance activities should pose no substantial impact to supply of electricity by using all available resources and remedies, because power is a basic necessity for our countrymen,” Sec. Cusi said. He added that plans and alternative modes should be in place and ready before the actual shutdown. 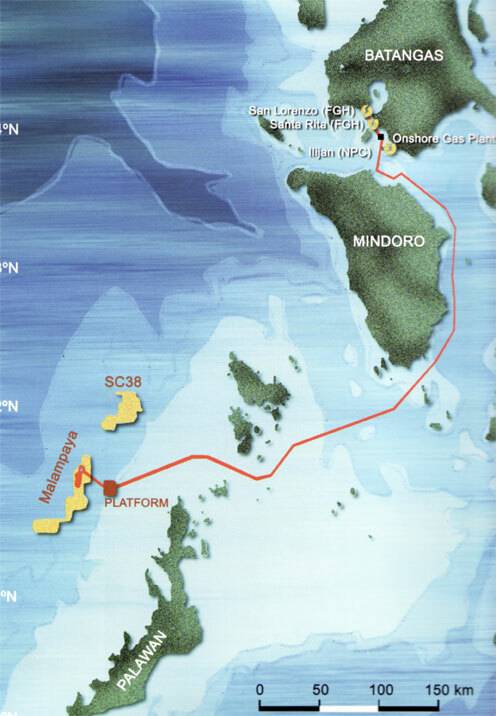 In a meeting with industry participants last 15 December, the DOE was apprised by the Shell Philippines Exploration Corporation (SPEx) of the preparatory works for the Malampaya services maintenance shutdown (Malampaya SMS). According to SPEX, the maintenance activities will cover the repair of the sub-sea facilities, upgrades on the platform, and maintenance on the onshore plant. On the power situation outlook, the National Grid Corporation of the Philippines (NGCP) was tasked to simulate the possible power supply scenarios, while the Philippine Electricity Market Corp. (PEMC) will conduct a simulation on the Wholesale Electricity Spot Market (WESM) prices during the Malampaya SMS. b) Generation cost of natural gas plants due to change in liquid fuel (diesel and condensate) which is more expensive than Malampaya’s natural gas. In effect, the MERALCO simulation projects an increase of around 1 PhP/KWh on the generation cost rate that will be billed for the period which will be felt by their captive customers by March 2017 billing period. “There will be an increase, but what we will do is to minimize the increase to soften the burden to our consuming public,” Sec. Cusi said. To ensure power reserves during summer period, the 600MW block of Ilijan Natural Gas Power Plant in Batangas will coincide its maintenance shutdown to cost-efficiently use the Malampaya down time period. The meeting held by the DOE last 15 December was attended by the concerned DOE Bureaus, SPEX, NGCP, PEMC and MERALCO. In monitoring the progress of program for each concerned agency, the DOE called for another round of consultations and coordination before the holiday break which is scheduled today (22 December 2016). In addition to the participants in the first round of consultations, the concerned generation companies, large Interruptible Load Program participants, and Representatives from the secretariat of the Senate and House Committee on Energy were invited. “We assure the public that we will continue coordinate all the activities of those affected by the Malampaya SMS to avert any situation leading to the worst case scenario and to maximize the protection for the energy consuming public,” Sec. Cusi concluded.